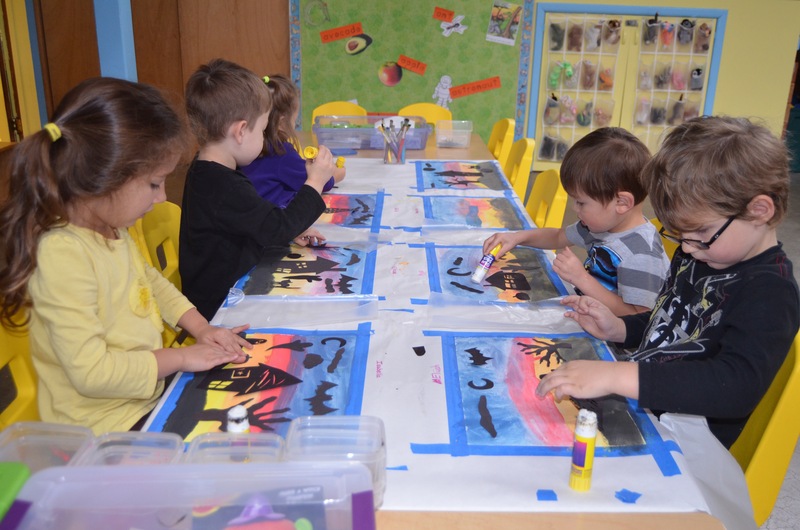 Our preschool class made Halloween silhouette paintings last week. The inspiration for this project can be found at That Artist Woman’s site. 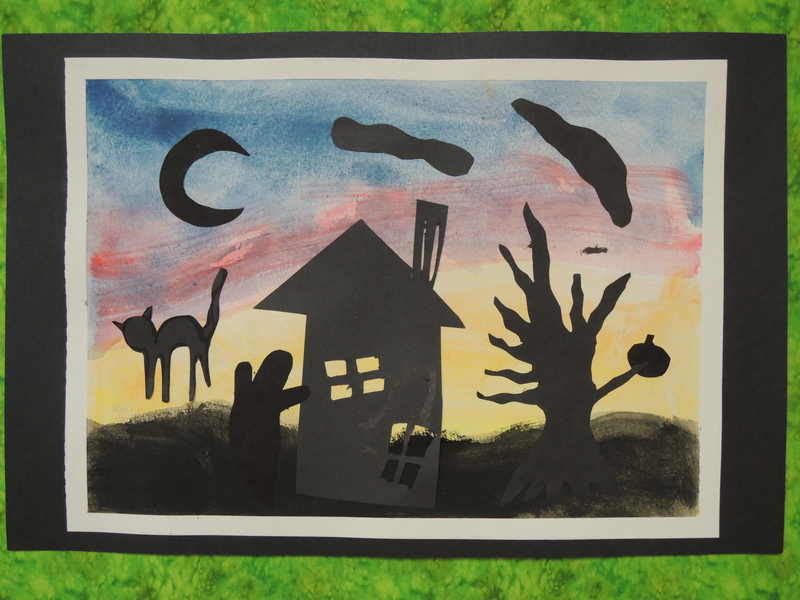 Gail has many great ideas for elementary school art, many of which can be made doable with preschoolers. This project took a week to complete. 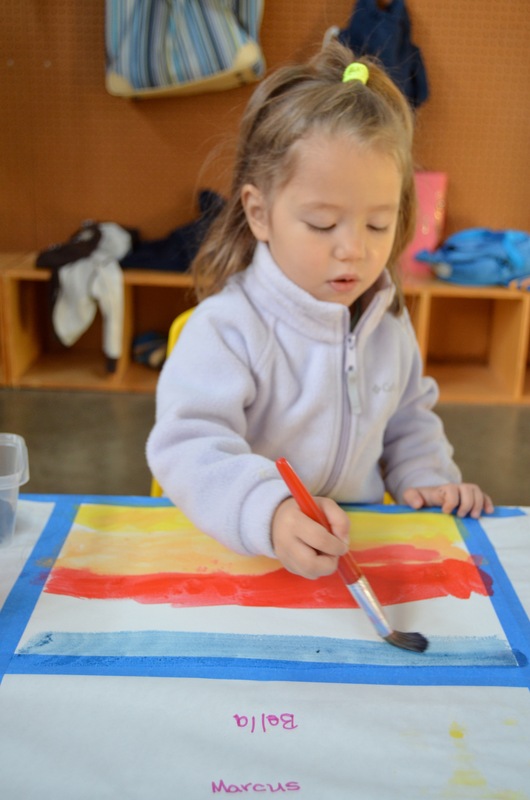 A small piece was completed each day giving preschoolers ample time to do each step of the project well and not be overwhelmed with completing the entire project in one sitting. 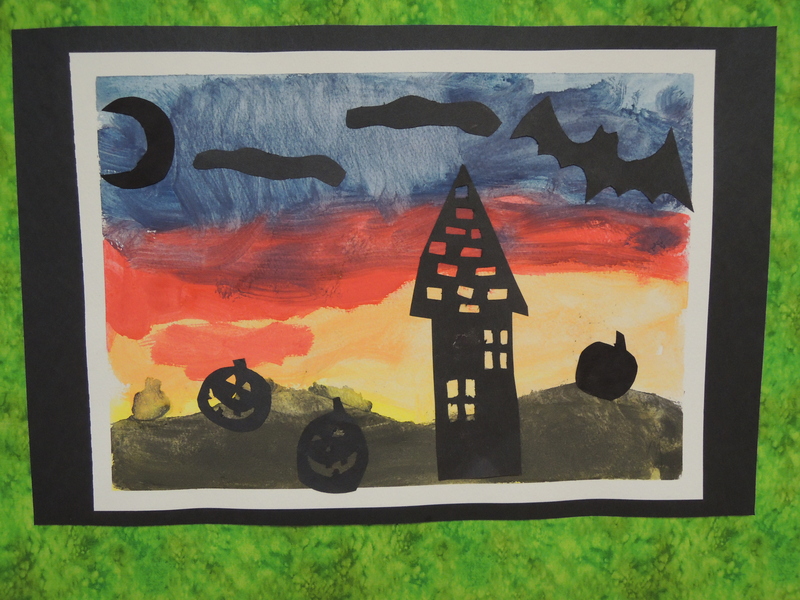 We used water color paper that was taped to the table with blue painter’s tape to form a frame around the pictures. 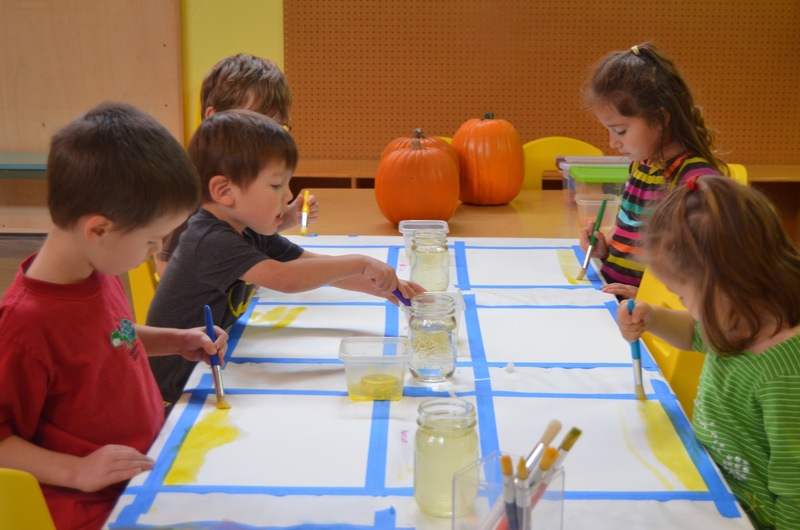 The children used yellow and orange tempera paint cakes to paint the bottom third of the paper. Blue was added to the top of the paper. 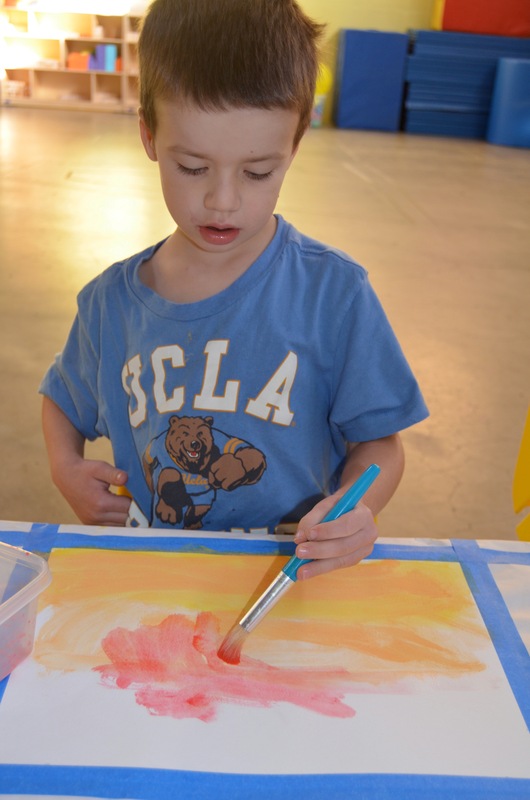 The tempera paint cakes work like water colors and allow the colors to mix. This was the first time I tried the paint cakes and love them! I found a school supply store in Canada that carries 28 colors! This is going to be my next purchase for the preschool. The next day a contact paper mask was place over the top 3/4 of the picture. 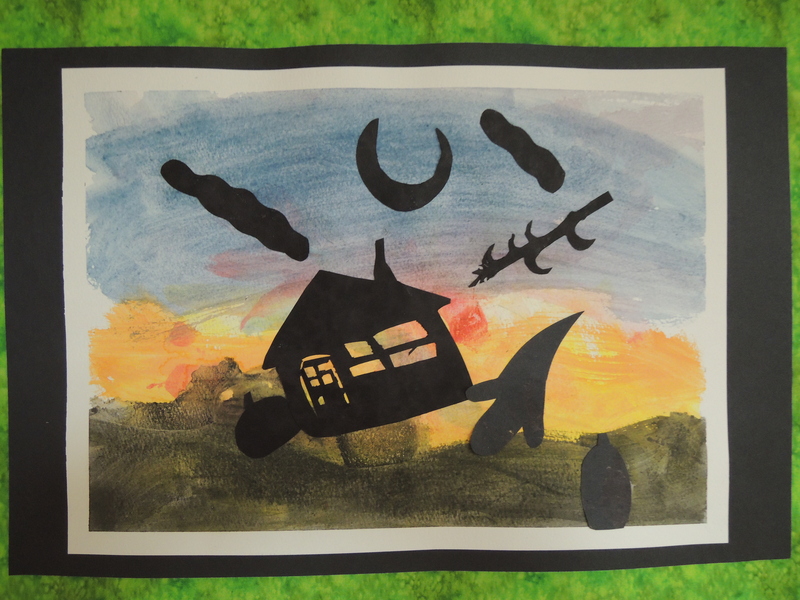 The children painted the bottom 1/4 of the picture black. 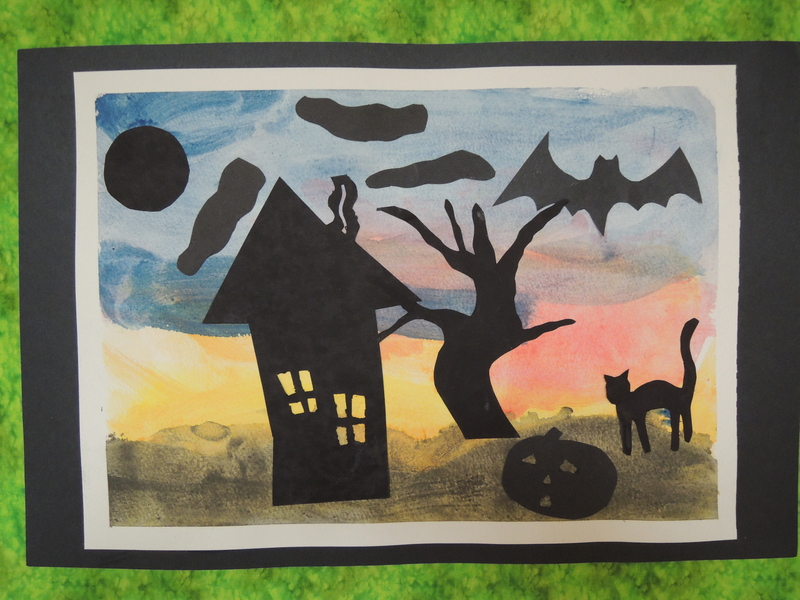 Misty-Jade created black Halloween cut-outs for the children to paste over their paintings. 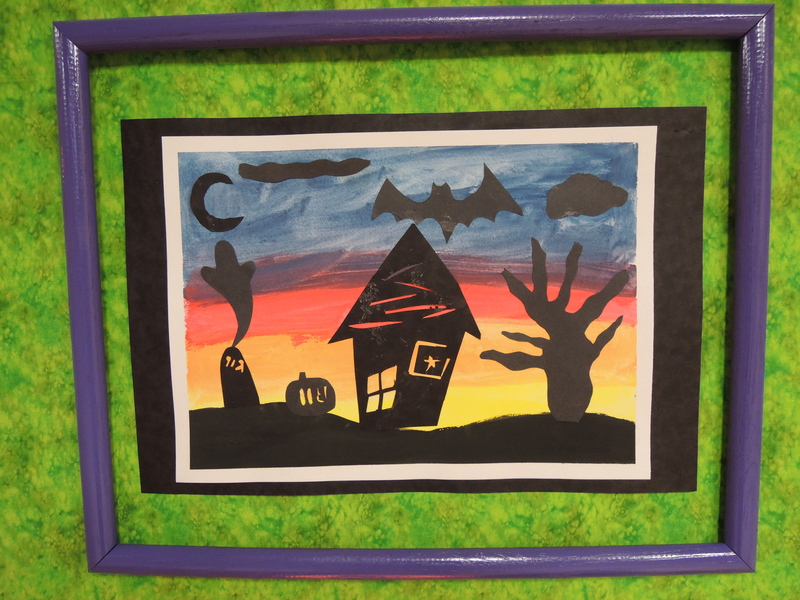 The pictures were then framed and put up on our new bulletin board. This picture reminds me of the cyclone in the Wizard of Oz. 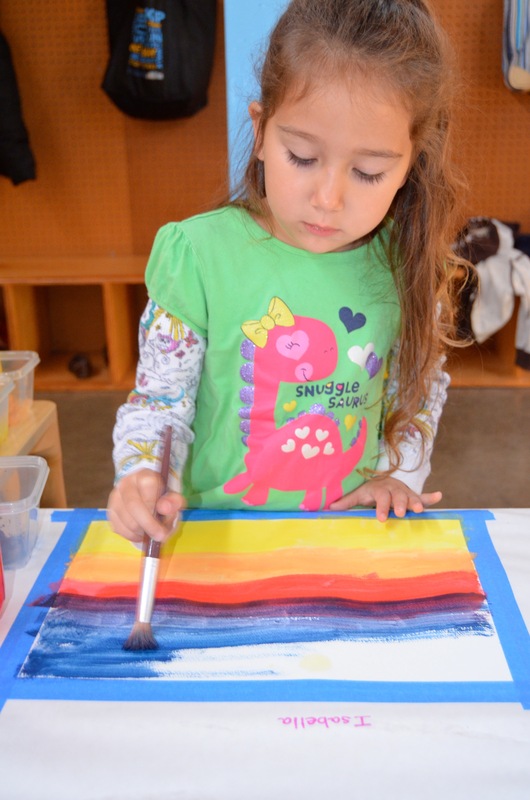 This was the first experience this group had using the tempera paint cakes. 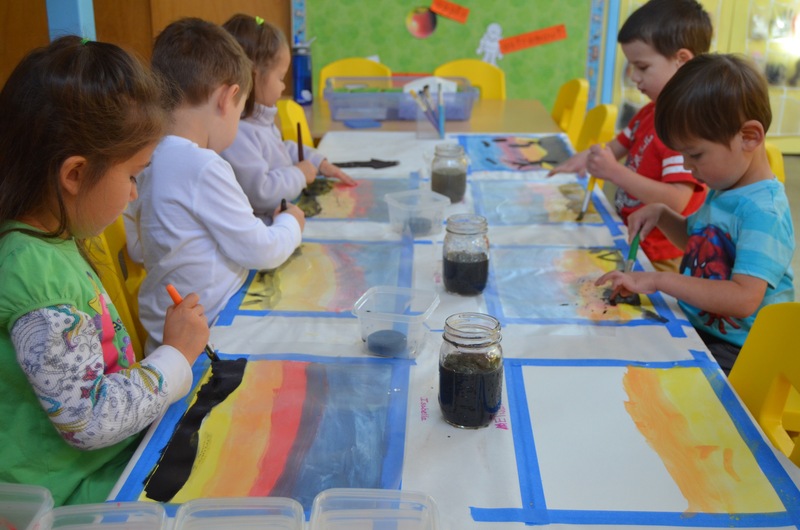 Some of the children figured out how to make their paintings brighter by using less water and getting more paint onto the brush.